BoxId: 504993 – Successful Start Boosts Confidence at Continental: "We will comfortably reach our targets." 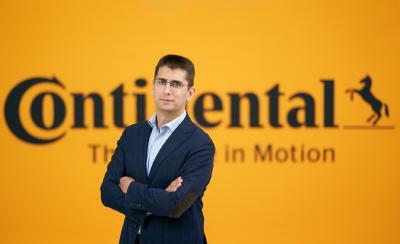 Successful Start Boosts Confidence at Continental: "We will comfortably reach our targets." For the third year in a row, the Continental Corporation got off to a good start in the first three months of 2012. In terms of sales and EBIT, the first quarter again set a new record in the company's history. "The excellent start to the new year makes us optimistic about meeting the goals we have set for ourselves for the year. 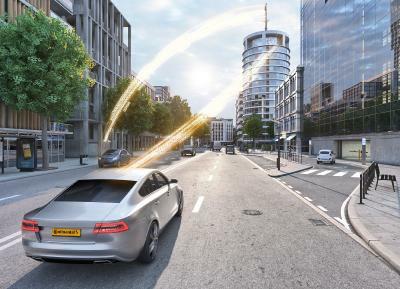 We intend to increase our sales by more than 5 percent to over €32 billion, realize an adjusted double-digit EBIT margin, and further reduce net indebtedness to under €6.5 billion," noted Continental CEO Dr. Elmar Degenhart in Hanover on Thursday. In the first three months of 2012, the international automotive supplier increased its sales - year-on-year - 13.3 percent to more than €8.3 billion. At the same time, EBIT rose almost 21 percent to €766 million, with an EBIT margin of 9.2 percent, against 8.6 percent a year ago. The Corporation's adjusted EBIT, adjusted particularly for acquisition-related amortization and special effects, rose to €875 million, after €734 million last year. The adjusted EBIT margin is 10.6 percent, after 10.0 percent a year ago. In the first quarter of 2012, net income attributable to the shareholders of the parent rose a good 31 percent year-on-year to approximately €483 million, corresponding to earnings per share of €2.41 after €1.84 one year ago. The Continental Corporation reduced net indebtedness by €764 million in comparison with the same quarter the previous year. Due to seasonal effects, the indebtedness was €69 million higher than at the end of 2011. The rise was much lower than what is standard for a first quarter. The gearing ratio at the end of the first quarter of 2012 thus improved to 85 percent, as against 117 percent one year ago and 90 percent at the end of 2011. "In the meantime, the consistent reduction in our indebtedness is also having a noticeable positive effect on our interest expenses, which, at €145 million, were down by about €38 million year-on-year," remarked Continental's CFO Wolfgang Schäfer. "In addition to the lower net indebtedness, the fact that the interest margins are down on a year-on-year basis contributed to this development. We are enjoying the payoff of having established a link between interest margins and the ratio of net indebtedness to EBITDA. The leverage ratio, which is also important for our rating, was a bit over 1.5 at the end of the first quarter. We want to be below this value at the end of the year." Schäfer went on to point out that the company had liquidity reserves totaling nearly €3.7 billion at its disposal on March 31, 2012. These consisted of €1.3 billion in cash and cash equivalents, as well as €2.4 billion in unused credit lines. 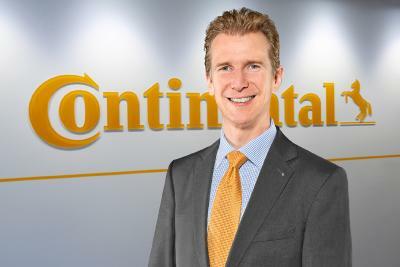 In the first quarter of 2012, Continental created around 3,400 new jobs and thus now has approximately 167,000 on its payroll - 12,400 more than one year ago. "If the positive production trend continues in the automobile industry, we will create thousands of jobs worldwide this year as well," said Degenhart. The CEO also stressed that once again both the Automotive Group and the Rubber Group contributed to the corporation's growth. Year-on-year, first quarter sales in the Automotive Group were up approximately 12 percent to just under €5.1 billion. Adjusted EBIT of €403 million was reported (€359 million one year ago). The Rubber Group posted sales of nearly €3.3 billion, representing an increase of approximately 15 percent. In the first quarter 2012, adjusted EBIT amounted to €494 million, topping €397 million for the same quarter a year ago. Quarterly earnings in the Automotive Group were weighed down by higher costs for rare earths, whereas the negative effects emanating from the recent spike in oil prices will themselves itself felt in the Rubber Group only as the current year progresses.